The history of humanity is shaped by monumental events. Every nation, and each generation, has been defined by the policies of its leaders and the actions of its peoples. Humanity has endured catastrophic wars, revolutions and dictators. Human behaviour can lead to injustice and misery, as well as the common good. Human behaviour lies at the heart of almost every challenge we are faced with. We live in very uncertain times. New technologies, climate change, and a new world order are just some of the challenges our generation must navigate. The decisions we make now will have far reaching consequences. What if we could find a way to explain, predict and influence human behaviour? Imagine a model, created from data so big it takes a large part of the human world into account, a model of complex human behaviour dynamics so sophisticated it can drive public policy and lead to clear and actionable strategies to improve the health, sustainability and security of our nation. Professor Andrew Heathcote is a cognitive scientist. His research is focused on how people make rapid decisions, particularly how they balance the speed with which they do things and the accuracy. He uses mathematics and high-performance computing to simulate how people make these decisions in their minds and brains. ‘I am looking at it from a dynamic perspective,’ he explains. ‘How our knowledge of an event rapidly accumulates until we feel we have enough evidence to make a decision and take an action, something that we do thousands of times a day. Professor Heathcote gets people to perform tasks that require them to make decisions about computer displays. He then makes a cognitive model, which simulates the person’s thought processes and determines if it can account for their behaviour. In future, he plans to simulate interactions among the individual models in order to understand decisions made by groups of people. We are now in the position to be able to take this understanding of how the mind works and put it in the real world to solve pressing problems. ‘My work is a prime example of why the science of the mind – cognitive science – combined with the revolution in computing power, is so important,’ explains Professor Heathcote. ‘If we can understand the mind, and then understand how to put aspects of it into silicon, we can greatly augment our abilities by teaming humans with artificial intelligence. ‘The methods I am developing, combined with the “big data” that is available about human behaviour in our increasingly computerised world, can help predict what people will do, and I believe that capability should really be in public hands and used for the public good, instead of serving the interests of big companies,’ he says. ‘In order to create optimal public policy, we first of all need to understand why people do things. This highlights the importance of developing models that show the causes of human behaviour rather than just predict the effects, because this way it’s possible to intervene and achieve the desired outcomes of some of the big problems we face. ‘These models, and the data they provide, could drive policy for defence, health and climate change,’ says Professor Heathcote. There’s a flood of data about all of us out there. But, the issue of privacy is becoming a huge concern. Shouldn’t the information large companies access for their own personal gain be used to transform cultural knowledge instead? Andrew Heathcote is a research-focused Professor in the Department of Psychology appointed under the Open to Talent program in 2015. 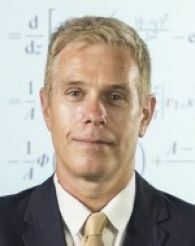 He uses mathematical and computational techniques to model cognitive processes and their links to behaviour and the brain, particularly with respect to learning and memory and making rapid decisions. He was head of the School of Psychology at the University of Newcastle, Australia, 2004-2006. In 2012 he was elected to the Australian Academy of Social Sciences and served as Vice-President of the Society for Mathematical Psychology 2014-2016 and President of the Australasian Experimental Psychology Society in 2017. He is an Associate Editor at Cognitive Psychology; Journal of Mathematical Psychology and Computational Brain and Behaviour. I graduated from the University of Tasmania with a B.Sc. in Physics and Psychology in 1983 and a 1st Class Honours in Psychology in 1984. I completed a PhD Queen’s University in Canada with Doug Mewhort in 1990 as a Commonwealth Postgraduate Fellow, and was a Postdoctoral Fellow with Roger Ratcliff at Northwestern University in Chicago in 1991. In 1992 I returned to Australia as a lecturer at University of Newcastle and from 2004-2006 I was Deputy Head and then Head of its School of Psychology. Subsequently became a full Professor and founded the Newcastle Cognition Laboratory (NewCL.org). In 2011 I was awarded a Professorial Fellowship by the ARC. In 2012 I was elected to the Australian Academy of Social Sciences and served as Vice-President of the Society for Mathematical Psychology 2014-2016 and President of the Australasian Experimental Psychology Society in 2017. In 2015 I took up a research chair at University of Tasmania and founded the Tasmanian Cognition Laboratory (TasCL.org). BSc (1st Class Hons), University of Tasmania, Australia, 1984. PhD, Queens University, Canada, 1991. Andrew Heathcote has taught cognition courses, and research methods and statistics courses at all undergraduate levels from 1st year to 4th year. He also teaches workshops to graduate students, postdoctoral fellows and academics on advanced techniques in cognitive modelling. Coordinator and lecturer, Big Decisions! (http://www.utas.edu.au/courses/dvc-students-and-education/units/xbr111-big-decisions!-rational-belief-and-action-in-an-uncertain-world). Andrew Heathcote's research aligns broadly with the Universities Data, Knowledge and Decisions theme. His current research focuses on human memory and skill acquisition, and on the neural and cognitive processes that enable people to make rapid choices funded by ARC Discovery Projects, as well as collaborative research agreements with DST Group and CSIRO’s Data 61. Andrew Heathcote has ongoing research collaborations with Prof. Scott Brown, Prof. Simon Dennis, Dr. Adam Osth and Dr. Ami Eidels at the University of Newcastle, Prof. Andrew Neal at University of Queensland, Dr. Shayne Loft at University of Western Australia, Dr. Matthew Finkbeinder at Macquarie Univeristy, Prof. Birte Forstmann, Prof. EJ Wagenmakers and Dr. Dora Matzke at University of Amsterdam, Prof. David Strayer at University of Utah, Prof. Doug Mewhort at Queen's University, Canada. Memory for when something happened (episodic memory) is critical to performance across the range of human activity. At the moment, there is no theory that is sufficiently complete and quantitatively rigorous to allow one to assess memory capacities at the level of individuals. A five-year project with a national and international research team beginning in 2015 will develop a comprehensive theory of memory to fill this gap, enabling understanding of the causes of forgetting in different tasks and at different stages of development. A second recent project aims to extend state-of-the art quantitative psychological models of simple choice tasks to decision making with complex stimuli in complex environments. These new formal models will provide a comprehensive account of behaviour, including the choices that are made, how long it takes to make them, and how choices and choice times vary within and between decision makers. The models will explain how people adapt to changes in task demands when dealing with multiple stimuli or performing multiple tasks concurrently under time pressure. The project will provide the strategic basic research that is needed to extend psychological models of choice to complex 'real-world' tasks, such air traffic control and maritime surveillance. As of June, 2018, Scopus (Google Scholar) H = 34 (39) with 3496 (5709) career citations. My Associate Editor roles include JEP: LMC (2009-2013), JMP since 2011 (renewed, 2015 and ongoing), PBR 2014-2016, since late 2016 Cognitive Psychology and since 2018 Computational Brain & Behavior. Andrew has held 10 ARC Discovery projects during his career with funding totalling over $2.7m. In these projects Andrew has been part of research teams that have developed a new perspective on the law of practice, the relationship between speed-skill and practice, a unified theory of performance in absolute identification tasks, new approaches to understanding recognition memory, choice models for learning and memory and integrated models of the neuroscience of rapid decisions and in ongoing work a unified theory of episodic memory and applications of comprehensive models of simple choice to complex real-world decisions. This emphasis on real world decision making has led to recent gratns with DST Group and CSIRO’s Data 61. Automation, and autonomous systems, are playing an increasing role in every-day life. Whereas the previous generation of autonomous technology had its impact largely in industrial spaces, (e.g. automotive factory robots), current advances are bringing such systems into the homes, workplaces, and automobiles of todays citizens. A key factor here is the increased proximity to human operators and bystanders. This project aims to develop a useful model for making predictive analyses based on these three factors, Automation, Trust, and Workload.The work will focus on both traditional methods of workload estimation (i.e. subjective questionnaire) and novel methodology using psychophysiological methodology to measure workload in a way that does not interrupt critical task flow, as is the case with traditional methodology. Such methodologies include, but are not limited to: Pupillometry (using fluctuations in pupil diameter to indicate cognitive load, e.g. (Duenser, Lochner, Engelke, & Rozado, 2015); electro-dermal activity (using skin conductivity to infer cognitive load, e.g. (Lochner, Duenser, Lutzhoft, Brooks, & Rozado, 2016); IR camera-based pulse detection (using video imagery to detect pulse rate, e.g. (Stemberger, Allison, & Schnell, 2010). It is our goal to develop and validate a hybrid methodology for assessing workload in critical task environments, where standard interruptive measurement techniques are not appropriate due to various considerations including safety, efficiency, and efficacy. This framework is not limited to assessing physical automation (e.g. self driving cars, autonomous robotics), but also includes automation within a user-experience framework, considering automated web-based information systems.The second key factor (the first being the level of autonomy) in the model under development is the individuals level of trust in the automated system. Recent research on human interactions with autonomous systems (e.g., Freedy, DeVisser, Weltman, & Coeyman, 2007; Lee & See, 2004) indicates that the level of trust in the system affects the success of the interaction on a number of levels, and should therefore be taken into account as a major factor in the design process. The current project contributors believe that a relation between trust, autonomy, and workload is intrinsic to the human-machine system, and that the development of a model surrounding these influences will inform the successful future development of such systems. This research sits at the nexus of three academic disciplines, namely computer science, psychology, and engineering. The development of systems that operate with variable levels of human engagement, requires an explicit understanding of the human capacity for work, the strengths and limitations of the technology, and a way to predict when errors will occur. The proposed project structure will support this multidisciplinary work by establishing the appropriate interdepartmental connections. Human operators - particularly in demanding Defence jobs - experience workload levels varying from light or none to complete overload. These workload fluctuations can be associated with sub-optimal performance, which can lead to poor outcomes or even mission failure. Automation, in the form of artificial intelligence that can take over routine tasks and/or recommend smart options, promises to alleviate some of these concerns but raises its own problem. Under-load can cause mind-wandering, sometimes called "automation neglect", leaving the operator ill prepared for emergencies, and automated recommenders, lacking the situational awareness of human assistants, can cause failures by intruding at critical times or providing options that overload the operator's capacity. We aim to develop a hardware and software package for monitoring and predicting operator engagement and workload in real time. The project aims to extend state-of-the art quantitative psychological models of simple choice tasks to decisionmaking with complex stimuli in complex environments. These new formal models will provide a comprehensiveaccount of behaviour, including the choices that are made, how long it takes to make them, and how choices andchoice times vary within and between decision makers. The models will explain how people adapt to changes intask demands when dealing with multiple stimuli or performing multiple tasks concurrently under time pressure.The project will provide the strategic basic research that is needed to extend psychological models of choice tocomplex real-world tasks, such air traffic control and maritime surveillance. This proposal aims to develop a model of episodic memory and to apply the model to both adult and child development data. Unlike current approaches, the model will address multiple memory tasks including item recognition, associative recognition, source recognition and cued recall and will also address reaction timedata, allowing different sources of interference causing forgetting in adults to be identified. By addressing both encoding and retrieval processes, the model can assess how changes in different sources of interference modulate performance through the trajectory of early development. Hierarchical Bayesian estimation will enable a simultaneous account of multiple tasks and support future deployment in appliedcontexts. Life is filled with well familiar choices that are made quickly and with sensitivity to the decision context, suchas ones overall level of knowledge and the consequences of the decisions. This project will develop and testquantitative models, using Bayesian estimation and model selection, of a) learning to transition from taskmastery (i.e., effortful, fairly accurate but slower choices) to fluent (i.e., accurate, rapid and effortless)performance, and b) the accuracy, speed and confidence of decisions about recognition memory (i.e.,whether an item was previously encountered in a particular context) as a function of the probability andsimilarity of choices and the likely strength and sources of information provided by memory. Andrew has supervised over 100 4thyear and honours projects, with over 60% of the honours projects receiving 1st class and 6 the prize for best thesis. Andrew has graduated 15 PhD, 2 Prof. Doc. and 7 MA students and is involved in the supervision of 9 ongoing PhD projects. Andrew is actively seeking new PhD students with an interest in mathematical psychology.